For some people, football is just that thing that happens between the commercial breaks. The advertisements shown during the 2014 Super bowl are a spectacle and a half. You’d hope so, considering a 30-second spot during the commercial break costs upwards of US $4 million. We might be halfway across the world when we catch the Super bowl (and the ads we see down under aren’t half as flashy), but that doesn’t mean we can’t get in on the fun. We’ve rounded up a few of our favourite US ads shown during the 2014 Super bowl. Pass the popcorn. Morpheus is epic, as usual. A young couple returns to the valet to pick up their car, coming face to face with Morpheus. “Take the blue key and go back to the luxury you know. 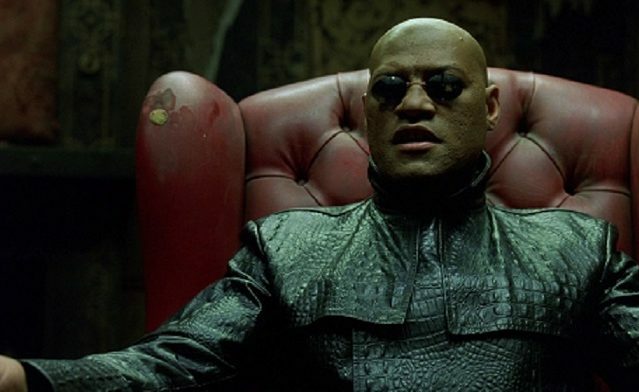 You take the red key and you’ll never look at luxury the same again.” It’s the same old Matrix red pill blue pill trope – but then something unexpected happens. We don’t know about you, but we couldn’t keep from laughing. “Ugh. I hate these wingy thingies.” – easily the best line of the whole commercial. In this Volkswagen ad, German engineers sprout big, fluffy white wings every time a Volkswagen vehicle hits more than 100,000 miles. People falling over is funny, and people like to watch other people falling over. You know it’s true – Australia’s Funniest Home Videos was a hit. The Super bowl ad from Hyundai is all about that, with a feel good soundtrack to boot. Which Super bowl ad was your favourite?